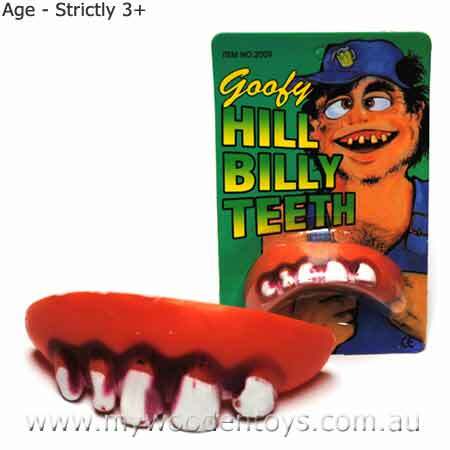 Joke Horrible False Teeth are made from plastic and are a horrible addition to any dress-up costume. Wear them to the dentist for a great effect. Hide them and slip them in your mouth just before a photograph. We like this because: "So very attractive!!. "